Happy March, my friends! We’re getting that much closer to SPRING and I’m ready for it. I feel like this has been the hardest winter I’ve had in a long time and I know there are quite a few of you feeling the same way. BUT on a major positive note…our snow has melted!!!! Do you know how amazing it feels to actually be able to see the ground again??? 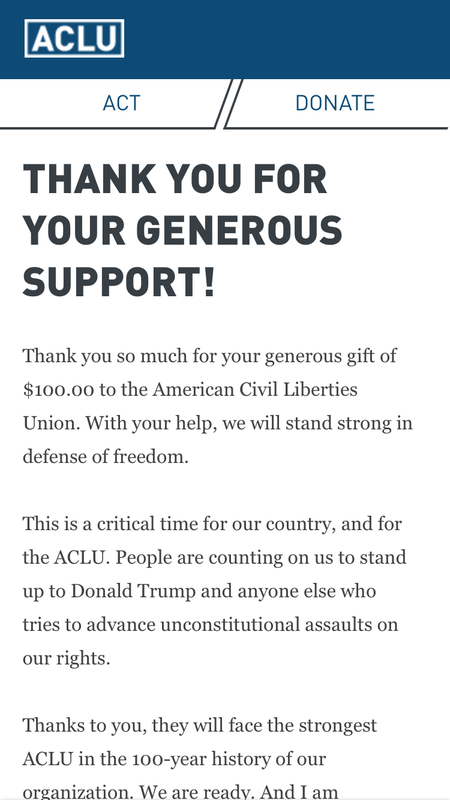 – If you read my post from last month (or follow me on Instagram) you know that I held a weekend long promotion to raise money for ACLU (50% of my sales)….I was able to donate $100 thanks to YOU! And a HUGE thanks for all of the wonderful feedback – it warms my heart to hear that you’re enjoying everything! 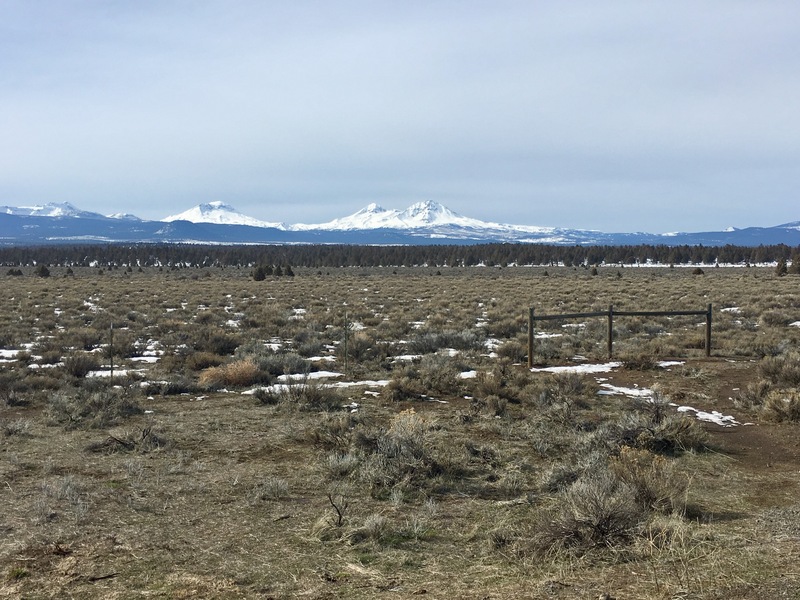 – Going on a little Valentine’s Day tea date with Josh and pulling over like a tourist to stop and take in the gorgeous view. Those snow covered mountains never get old. – Turning 38! I’m feeling really good about this year and I’m excited to see what’s in store. – Chopping off a foot of my hair to donate to Children with Hair Loss (CWHL)! I’ve done hair donation quite a bit, but this is my first time to this organization. I learned the truth about Locks of Love and will never donate to them again. CWHL is a non-profit organization that provides wigs to children (with medically related hair loss) at NO COST. I highly recommend checking them out if you’re planning on cutting your long hair! 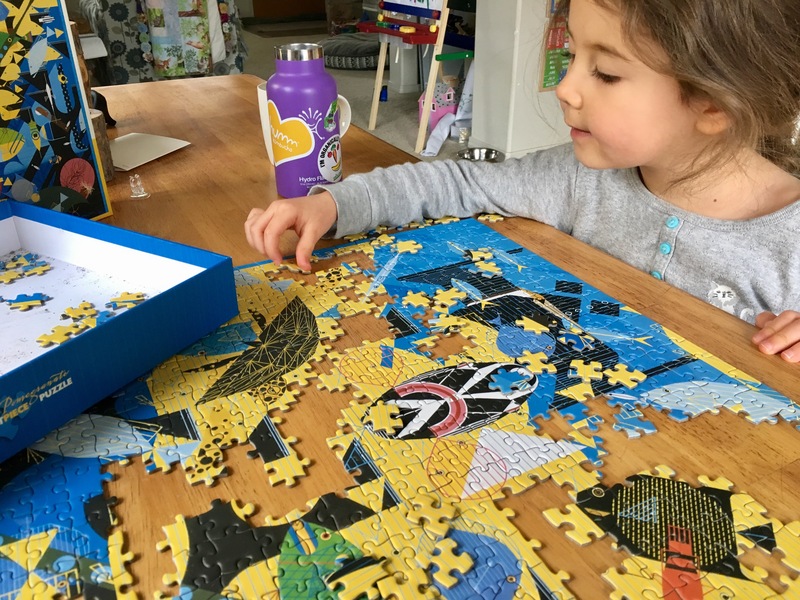 – Finishing two big puzzles with Willow (1,000 piece puzzles). This kid is addicted and REALLY good! – Doing another big round of decluttering! I even asked Willow if she would be up for donating some of her things…she surprised me by overflowing TWO boxes! So now we’re looking into where to donate some gently used stuffed animals, clothes, books, and games. Willow is excited for another boy or girl to enjoy her things…proud mama over here! 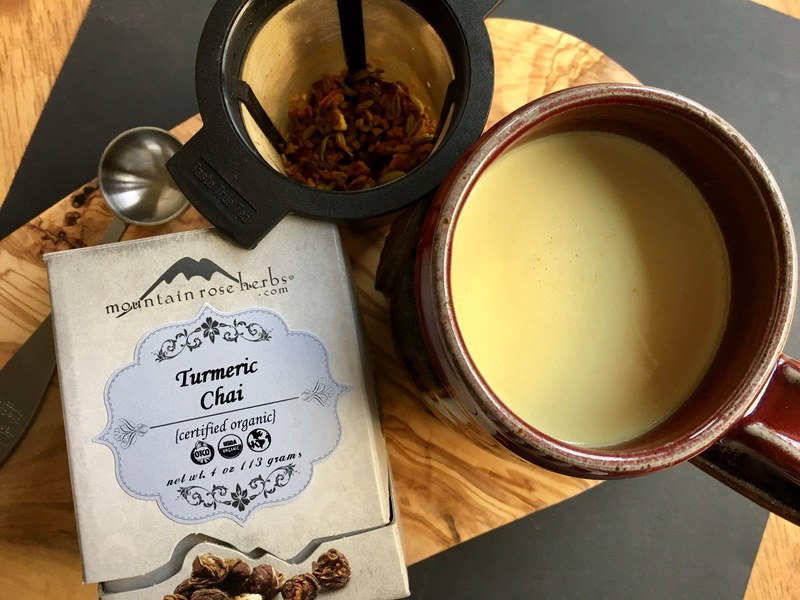 TURMERIC CHAI>> Mountain Rose Herbs® >> I adore Mountain Rose Herbs for so many reasons and I even use quite a few of their products to make the items in my Etsy shop. I love that they offer high quality & organic ingredients…and it feels good to support another Oregon company. OK, but moving on to this tea! It’s no secret that I love chai and I LOVE turmeric, so it was a given that I’d eventually give this tea a try! It’s been so perfect for these chilly, windy, winter days. I love to heat up a bit of coconut milk to add to this, along with a small drizzle of maple syrup – it makes a creamy, slightly spicy drink that warms you to the core. Next time I’ll be sure to order a bigger box! CASSAVA & CHIA AMAZING GRAIN-FREE TORTILLAS >> SIETE >> I’ve walked by these tortillas every Monday for the last few months, but never bothered to buy them because I was avoiding seeds. BUT I’m SO happy to report that I’ve been able to add in small amounts of nuts and seeds…small amounts, but I’ll take it! So a couple weeks ago I finally splurged and bought a pack to celebrate (they’re $8.99 for a pack of 8). THEY. ARE. AMAZING!!! Not only do they hold up really well, but I love the flavor and texture. I used them to make roasted veggie wraps and salad wraps. They won’t be a weekly buy as they are really pricey, but as an every now and again treat, I think they’re perfect. I love the “clean” ingredient list and they contain ZERO gums or citric acid. They offer an almond flour pack, but they do contain xanthan gum and steer clear of the coconut wraps as they contain pork lard. I buy them from Natural Grocers, but most Whole Foods carries them as well. Oh! And their Sea Salt Grain Free Tortilla Chips are THE BEST! So light, airy, crispy and perfect for salsa or nachos. I’m the only grain-free person in my household, but we’ve really cut back on grains as a family, too – so these are a wonderful substitute (but pricier than your average bag of tortilla chips). We get them from Whole Foods for about $5.99/bag. GREEN CHILE GUACAMOLE >> HOPE FOODS >> We have had THE worst luck with avocados these last few weeks…no matter where we purchased them from. I haven’t given up yet, but with the increasing price of avocados…some places charging $2.49 for ONE, I’ve made them a limited buy…or I make Josh pick them up from work because if do get a bunch of bad ones, we can return them. But I digress. I found this guacamole on sale at Natural Grocers one day and picked it up to go with our veggie wraps. Huge hit! 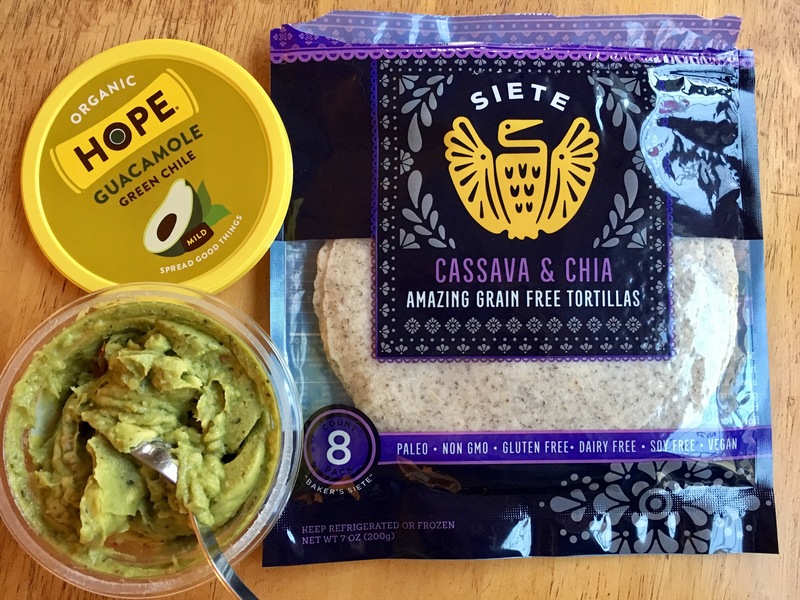 When we used to buy store-bought hummus, we loved to get anything from Hope Foods, so I knew that their guacamole would be delicious. For being pre-made, it had a really nice fresh flavor with a bit of a kick to it. I’d definitely buy it again! 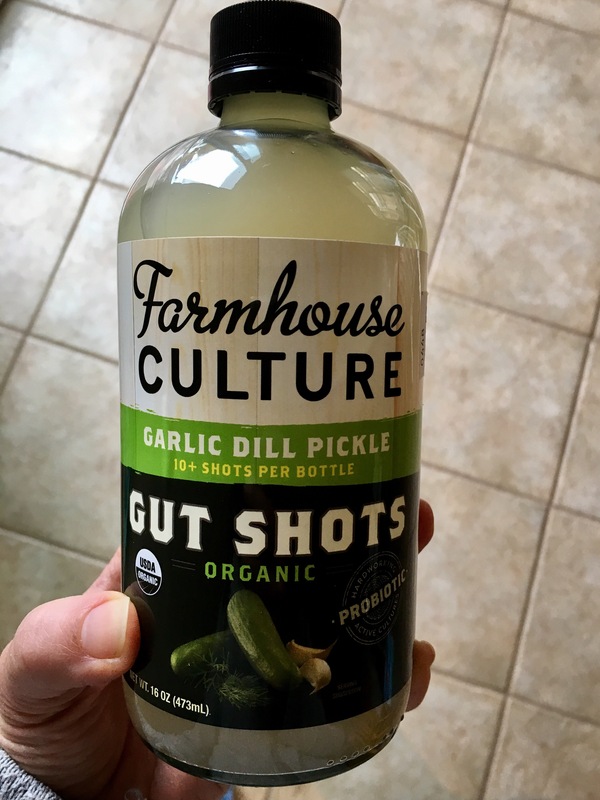 GARLIC DILL PICKLE GUT SHOTS >> FARMHOUSE CULTURE >> Who loves dill pickles?? If you don’t, then keep scrolling. But if you do, then definitely give this a try! We are a garlic obsessed house and we love pickles, so Josh and I decided to pick this up one day. Not going to lie, it really does taste like you’re drinking pickle juice, BUT it’s super smooth and really flavorful. We’ve been on a pretty heavy sauerkraut kick – something about that tangy zip – so this has been a wonderful addition. We’ve been doing two shots a day. We found this at Natural Grocers for $4.99/bottle. I know that last month I said that I was hoping to share more recipes for this post, but I only have two to share! 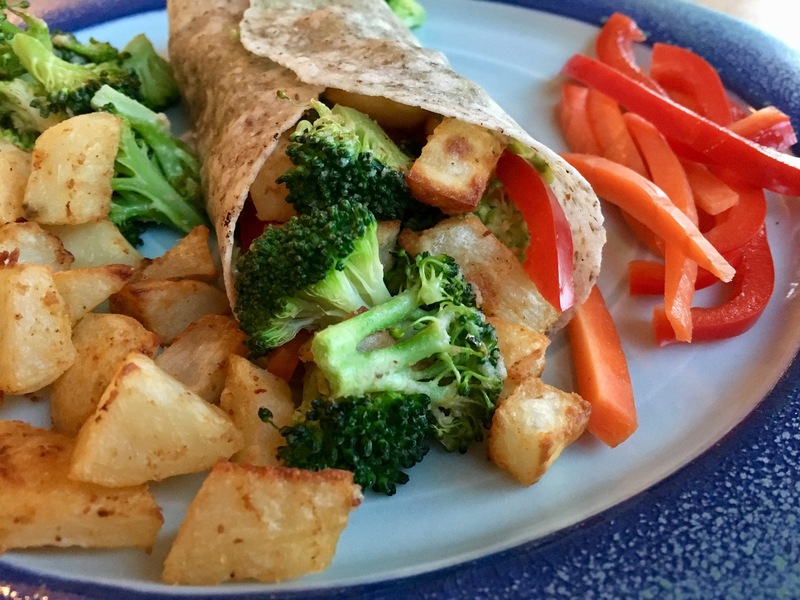 We’ve really simplified our eating and tend to stick to raw or roasted veggies of some sort, salads, and soups…and LOTS of potatoes. Eating this way has helped stick to our grocery budget and we work more with things we have on hand, as opposed to buying a bunch of things for just one recipe. Hopefully in the future I’ll have more favorites to share here, but for now, with my restricted diet, we stick to our simple, go-to meals. 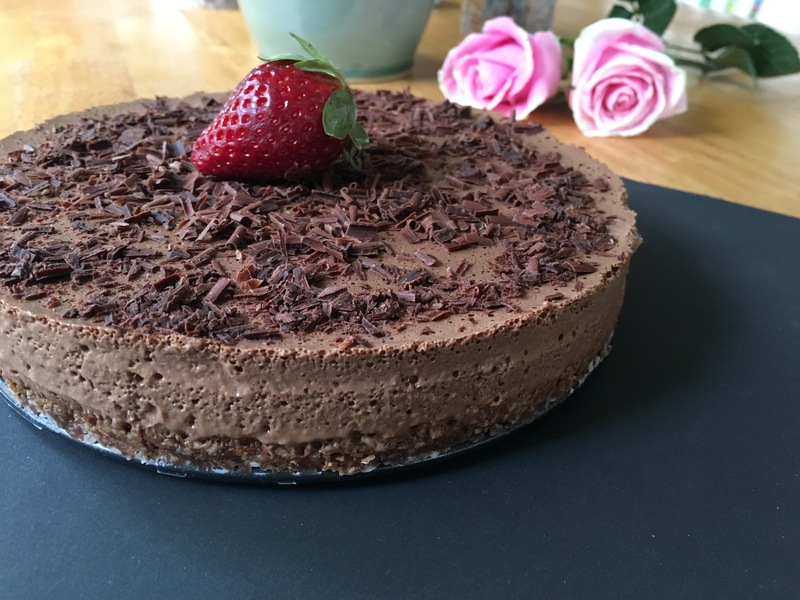 RAW VEGAN CHOCOLATE CHEESECAKE >> EATING VIBRANTLY >> I made this for my birthday and not only did I love it, but my entire family raved about it! Super easy to throw together, short ingredient list, and free from things I’m avoiding…so no fussing over substitutes. We described it as more of a mousse cake as opposed to an actual cheesecake, but it was amazing nonetheless. The directions said to let it sit in the fridge, but I found that allowing it to set in the freezer worked better as it firmed up a bit more. It was super rich, decadent, and not overly sweet, which was nice. It used raw cacao butter and coconut milk instead of the usual cashews, so it was easier on my tummy. 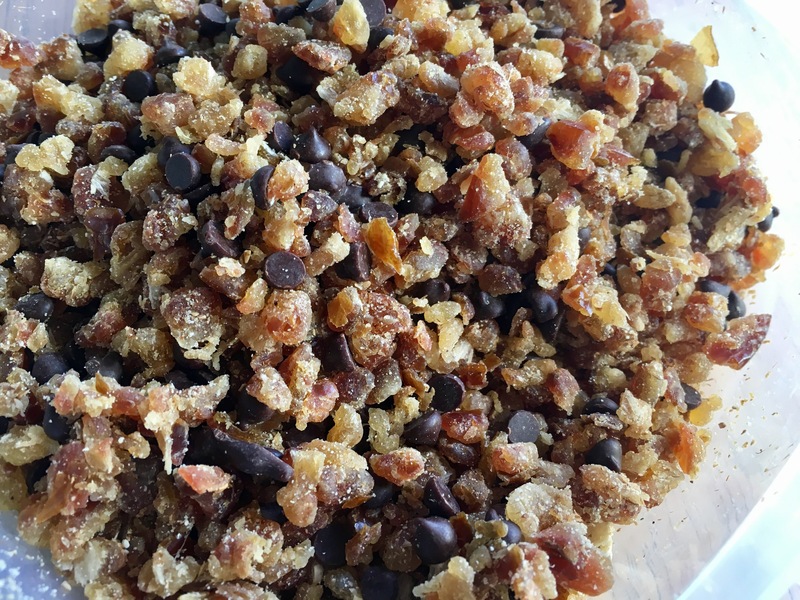 CHOCOLATE CHIP COOKIE DOUGH BITS >> FEASTING ON FRUIT >> When I got the email for this recipe and saw that it takes just a few minutes to make, I jumped into the kitchen and whipped it up! Natalie’s recipe calls for oat flour, but I used tigernut flour instead to keep it grain-free. Willow and I have been enjoying it straight out of the container and sprinkled on top of a smoothie bowl or banana ice cream. Little chewy, sweet bits of deliciousness and without the guilt! I’m planning on making the oatmeal that Natalie posted (HERE) for Willow once I get or make some cashew butter. So tell me…what were some of your favorite things from February?! Did you try any new products? Make any new recipes? Read any share-worthy books?? I’d love to hear! Or have you been (binge)watching any shows on Netflix?? I finally finished The Office a couple of weeks ago and cried. Such a great show and a wonderful distraction from all the depressing news in the world. BIG puzzles are the best!! I will always remember this 1000 piece Swan puzzle my dad and I (mostly my dad) spent weeks on when I was younger! O and Siete tortillas are bomb! Aww! Thank you, friend! 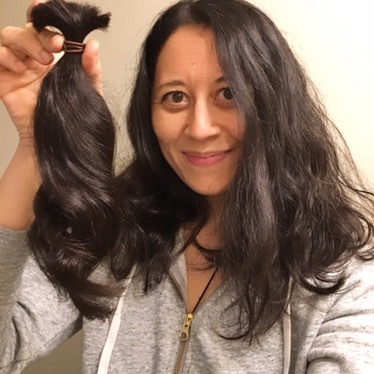 I was so bummed to hear about Locks of Love – I heard and read through several sources that they sell the hair. Ooooohh! Combined with vanilla tea sounds wonderful. I love all things vanilla. Vanilla chai + turmeric latte would be the dreamiest combo though! I’m making your recipe today (from IG). How I never thought to add maca to my turmeric latte is beyond me! Sounds like you had a great month of giving back! The siete tortillas are pretty good, we like the almond based ones the most! And HOPE foods is amazing! It’s funny how the little things make all the difference! Just being able to see the ground has been a great mood booster ☺️😂 Yes! Some of the mountains always have a nice little snow covering – which is weird come summer! But so beautiful. Glad to hear the snow is melting by your sister, too! I struggle a lot with growing hair out. I get impatient! Haha!! I was sad to hear about Locks for love too, but so relieved to read about other organizations out there who really do help families. Right??? There’s something so comforting about a warm beverage! Especially during this healing process. Chai has always been a favorite of mine, but combined with some turmeric is lovely. I can’t tell you how many times I debated getting the tortillas! 😂 Josh finally pushed me to do it and I’m glad he did. Since I know you like the taste/texture of cassava, I know you’ll love them like I do!